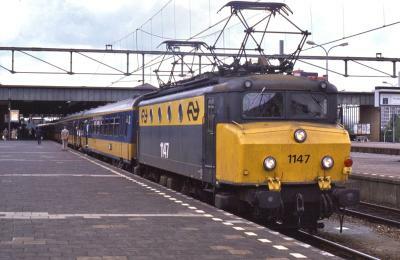 OpenRailwayMap is een gedetailleerde online kaart met de wereldwijde infratructuur aan spoorwegen. OpenRailwayMap is gebaseerd op de kaarten van OpenStreetMap.De kaart is beschikbaar sinds 2013 op Openrailwaymap.org. ""This project was founded in December 2011 in order to create a world-wide, open, up-to-date and detailed map of the railway network, based on OpenStreetMap. The domain was registered on April 27th, 2013 and the corresponding website was launched in mid 2013. Since then it has received constant improvement. In February 2014 the project moved to a new server. In April 2014 a dedicated map for mobile phones was launched. The OpenRailwayMap includes all rail-mounted and automotive vehicles, e.g. railways, subways, trams, miniature railways and funiculars. The map does not include aerialways, monorails, and maglevs. The name OpenRailwayMap mostly refers to the online map, but the project also aims to support railroad-related data in OpenStreetMap. By developing a consistent data model, providing a mailing list for discussions, developing editor plugins, etc. the collection of these data is boosted and the data are made usable for other applications and developers.""